Genesis records, “And God said, Let us make man in our image, after our likeness: and let them have dominion over the fish of the sea, and over the fowl of the air, and over the cattle, and over all the earth, and over every creeping thing that creeps on the earth” (Genesis 1:26). “And Jehovah God formed man of the dust of the ground, and breathed into his nostrils the breath of life; and man became a living soul” (Genesis 2:7). From these verses above, we see that in the beginning God created man in His image and likeness, and breathed the breath of life into man, so that man became a living man with a spirit, and could converse with God, accompany God, and manifest and honor God. Therefore, among all things of God’s creation, man was closest to God. However, after being tempted and corrupted by Satan, we humans betrayed God, and lost the intimate relationship with God, falling into the darkness. Though we have believed in God and followed Him now, if we don’t seek and practice the truth, if we are unable to revere and obey God, give our hearts to God, or live before God, then we won’t have a normal relationship with God. If so, we will lose God’s enlightenment and guidance, and furthermore, maybe we will be abandoned and eliminated by God. Therefore, establishing a proper relationship with God is crucial for us. So what should we do to have a normal relationship with God and what are the specific ways of practice? A little while ago, I communicated with several church friends concerning this aspect of the truth, and then had a little real gain. As long as we master the next four main points, we will have a normal relationship with God. Firstly, we must give our hearts to God and allow God to take charge, frequently have real prayer and association with God, and obtain the guidance of the work of the Holy Spirit. The Lord Jesus said, “But the hour comes, and now is, when the true worshippers shall worship the Father in spirit and in truth: for the Father seeks such to worship him. God is a Spirit: and they that worship him must worship him in spirit and in truth” (John 4:23–24). The Lord Jesus asked us to worship God with heart and with honesty. It means that we should pray to God with a single-minded heart, and speak to God from our hearts. Only by doing so will we obtain the Lord’s approval. Therefore, we should focus on practicing quieting our hearts before God, and constantly pray to draw near to God in the spirit. This prayer is not for us to comply with rules or engage in religious ceremonies, let alone say something good to palter with God, but to better live before God. When we quiet our hearts before God, we can bring our weakness, difficulties, shortcomings, and inadequacies before God to pray, and also, our prayers should be centered around God’s words. Besides, through reading God’s words, we can pray to God and seek Him out in regard to what we understand about His will and requests, what paths of practice we find and what we don’t understand. Such a prayer is for having a true communion with God and receiving the Holy Spirit’s enlightenment and illumination, so that we can gain a greater understanding of God’s current will and requests, be more clear about the path of practice, become more and more knowledgeable about God and obedient to God. Thus, step by step, we will feel our relationship with God is getting more and more close. So, we should often quiet our hearts before God, and have a true prayer and communion with God. Only in this way can we not stray from God, and always have a normal relationship with Him. On the contrary, if we are always busy in doing things, and our hearts are occupied with all sorts of external affairs, then our hearts will keep wandering in the world outside. And we will always be muddle-headed and simple-minded, unable to feel the Holy Spirit’s enlightenment and guidance, so we can’t see through many things and have no idea of how to deal with them, much less of which aspect of the truth and principles we should seek. As a result, we will not make any progress in our life entry. But when we draw near to God with a true heart and truly give our hearts to God, our spirits will become ever sharper. No matter what difficulties and problems we meet in real life, we can return to the spirit to seek and pray to God any time and find the path of practice in God’s words. And from the matters we meet every day, whether big or small, we can learn some actual lessons, see more clearly through our shortcomings, inadequacies, nature, and essence, even more hate and regret for our corruption and disobedience. Then we will feel close to God, and truly experience that God is beside us. Clearly, for our establishing a proper relationship with God, it is absolutely vital to always focus on giving our hearts to God and having communion with Him more. Secondly, we must frequently read God’s words, communicate God’s words, and practice God’s words. The Lord Jesus said, “I am the way, the truth, and the life” (John 14:6). God’s words are the truth and the source of our life. Regardless of when, we must read God’s words. No matter how short our time is, or how busy we are, or how many things happen to us, we can’t be bothered by any people, matter, or thing, and must ensure that we can normally pray to God and read God’s words every day. Furthermore, in God’s words, we should focus on seeking the truth, know His will and requirements and find the path of practice, thus understanding God’s word is the truth, the life, and the realities of positive things. Also, we should completely accept His words into our hearts, and experience and practice His words in real life. Besides, what we understand and gain by ourselves is too limited, so we should often communicate with our brothers and sisters about God’s words, and share our understanding and knowledge of God’s words, our experience and practice of God’s words, and the enlightenment and illumination in God’s words that we gain. If we do this way, the Holy Spirit will usually guide and enlighten us, making us have more knowledge of God and His words. In our experiences, we find that some brothers and sisters have a clear mind when encountering matters. They pay attention to seeking God’s will and have some practical knowledge of God’s work. And they also focus on seeking the truth on the people, matters, and things that they encounter every day. Moreover, they speak more and more accurately and objectively and they are principled in acting, speaking, and serving. When we carefully observe them, we will find that they ordinarily focus on seeking and pondering in God’s words, fellowshiping God’s words with others, and bringing God’s words into real life to experience and practice. Therefore, they often have the guidance of the truth when something happens to them. On the contrary, if we don’t put effort into God’s words, don’t pay attention to pondering God’s words, don’t experience and practice God’s words, and instead we only focus on running, spending, and working hard on the outside or just keep to some religious ceremonies and rules, then we will not eliminate our sinful nature or cast off corrupt disposition, but rather we will always be occupied and used by Satan, resisting and rebelling against God. For when we don’t understand the truth, we can’t truly know God or obey Him. Therefore, only by attaching importance to reading and fellowshiping God’s words, and experiencing and practicing God’s words in real life can we understand and attain the truth—these are God’s eager intention and His requirement. In this way, our relationship with God will become more and more normal. Thirdly, in all things, we must harbor right intentions, accept God’s scrutiny, and obey God’s arrangements instead of making plans for ourselves. In real life, whether we are praying, reading the Bible, attending the gathering, or contacting people, we should always examine our intentions. Besides, we should not care about our own benefits, satisfy our own ambitious desires, resist and rebel against God, or go against God’s words and do otherwise. Especially, we shouldn’t do the things that will bring harm to our brothers and sisters. Whatever we think, whatever we say, and whatever we do, we should be frank and righteous, and moreover, we can bring them before our brothers and sisters, as well as present them before God to accept God’s examination. For example, in order to satisfy our interests of the flesh and protect our own face and status, we often use a mix of personal intentions when we speak, and even tell lies to cheat others. At this time, we should immediately come before God to pray and reflect and know ourselves. After that, we will realize we are crafty and have told lies before God, and that we have brazenly deceived people and God, not living out any likeness of a human. And what we have done is loathed by others and also detested by God. When we recognize this, we can turn around in time, practice as God requires—we dissect and expose our intentions and motives in lying to the brothers and sisters—and resolve to betray lies and practice the truth in our future experiences. Then we will be correct people before God and our relationship with God will become more and more normal. It shows that accepting God’s observation is very important. So we should harbor right intentions in everything. Once we find our intent is wrong or impure, we should hurry to pray to God, so that we can forsake our flesh in time, let go of the wrong intentions and impureness within us, and seek the enlightenment and guidance of God’s words to practice the truth and satisfy God in these things. For example, David was someone who was after God’s heart. He frequently prayed to God to observe his every word and act, saying, “Search me, O God, and know my heart: try me, and know my thoughts: And see if there be any wicked way in me, and lead me in the way everlasting” (Psalms 139:23–24). David didn’t think about the enjoyments of the flesh or prepare anything for his family in his whole life. The only goal of him was to build a temple for Jehovah God. He took God’s heart as his own and built a temple where people could worship God, so he was accepted by Jehovah God and became one who accorded with God’s will, being commemorated and praised by God. Only when we let go of our personal motivations, desires, and intentions, always put our hearts before God to accept His observation, entirely give our true hearts over to God, and fear God and shun evil, will we have a normal relationship with God. Fourthly, we must seek truth in all things, seek to love God in our hearts and practice loving God, and allow God to take charge and hold power in all things. The Bible records, “And one of the scribes came, and having heard them reasoning together, and perceiving that he had answered them well, asked him, Which is the first commandment of all? And Jesus answered him, The first of all the commandments is, Hear, O Israel; The Lord our God is one Lord: And you shall love the Lord your God with all your heart, and with all your soul, and with all your mind, and with all your strength: this is the first commandment” (Mark 12:28–30). From these verses, we can understand that loving God is God’s requirement of us. This is the most sacred mission of us and also the goal of life we should pursue. If we want to have a normal relationship with God, we should seek the truth on all the people, matters, and things we meet, and thus understand God’s intentions and requirements of us. In all things, we should take God’s words as the principles of practice and make practicing the truth and obeying God our number one priority. Every word and act of us should be for following God’s way. In the end, we will attain dedicated and pure love for God, and honor God as great and exalt God in our hearts. It’s like Peter: He focused on seeking God’s will in everything, searching for the truth in God’s words, and pursuing knowledge of God and love for Him. Therefore, the Lord Jesus entrusted the important responsibility of shepherding the church to Peter and gave the key to the kingdom of heaven to him. Peter became a man after God’s heart. At last, he achieved obedience to death and love for God to the utmost that he was crucified upside down for the Lord, providing a resounding witness, and became the one who was most approved by God in all the ages. Today, we should emulate Peter and try our best to pursue the truth and the love for God. That is, in all matters, we should care for God’s will and seek and practice the truth to satisfy Him. In this way, we will gradually be compatible with God. In addition, in real life, we will love what God loves and hate what God hates, have true love for our brothers and sisters, and allow God to have dominion over all things. This is how we can have a normal relationship with God. Practicing according to these four ways above, we will be able to always live before God and establish a normal relationship with God. Thus, we will obtain God’s guidance and enter the right track of believing in God. Are you busy? Have you practiced your spiritual devotional today? This article will tell you the secret to being close to God, so that you can draw your life closer to God. Being familiar with the Bible does not mean truly understanding the truth. 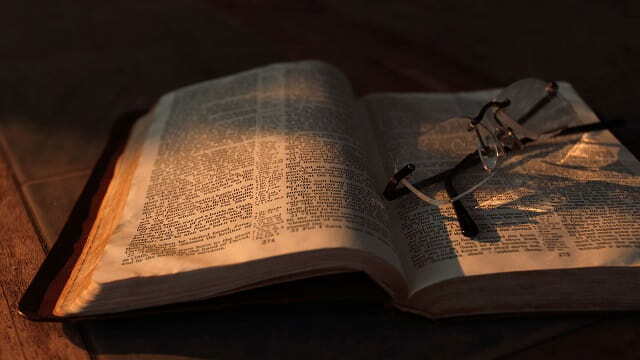 So how to read the Bible and gain the Lord’s approval? This article will tell you four steps. Why Does God Not Protect Churches? The churches are places where Christians worship the Lord. However, there were churches being captured and bombed by the terrorist group. Why does God not protect churches? Does believing in God mean a hobby, or only receiving grace from God? In fact, true belief in God is not as simple as we think. Let’s see how she changed her view on belief in God.